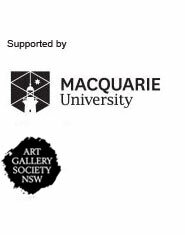 An evening of events to celebrate the significant contribution artists with disability make to our cultural life. Join us for talks, performances and tours with leading artists who question how society can strive for inclusivity through the removal of physical, technological and attitudinal barriers for people with disability. Duration 2 hours, 15 minutes. Members lounge. Free, bookings required. Duration 1 hour, 37 minutes. Domain Theatre. Free, bookings recommended. Duration 1 hour. Ticketing and information desk. Free with exhibition entry.